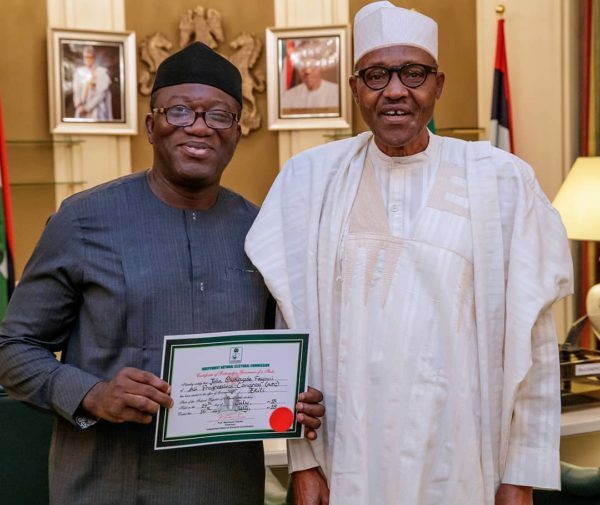 Former Minister of Mines and Steel Development and Governor-Elect of Ekiti State Kayode Fayemi was hosted at the Presidential Villa by President Muhammadu Buhari. 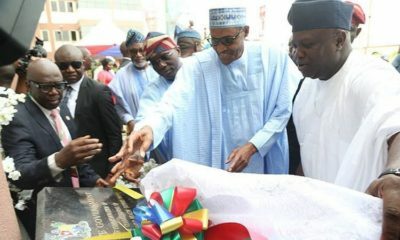 Fayemi was declared Governor-Elect of Ekiti State after winning a majority of the votes in the state elections. 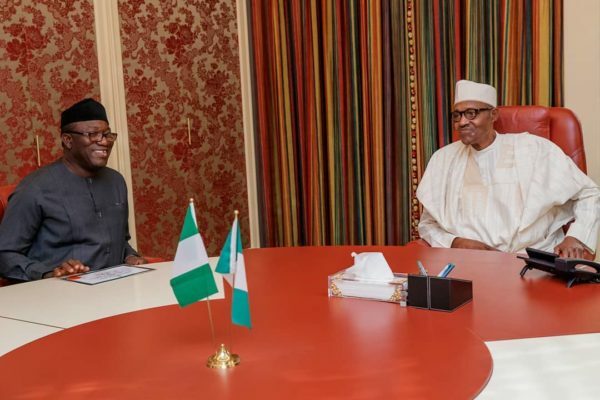 Fayemi, on Thursday, visited the president along with Ogun State Governor Ibikunle Amosun and Kebbi State Governor Atiku Bagudu. 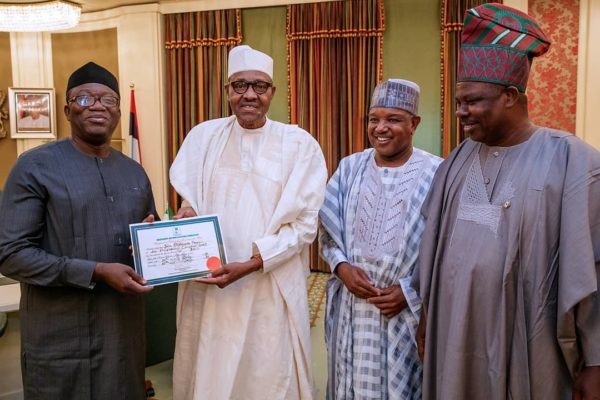 President @muhammadubuhari receives the Ekiti State Governor Elect , Dr. Kayode Fayemi accompanied by Governor Abubakar Atiku Bagudu of Kebbi State and Governor of ogun state, senator ibikunle.